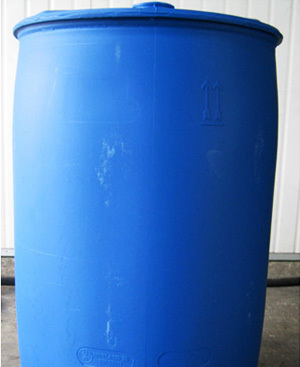 We are a prominent Refined Glycerine (99.7%) Exporter, Importer, and Supplier in India. Glycerol (Glycerin or Glycerine) is a simple polyol compound. Refined Glycerine is a colorless, odorless, and viscous liquid that is widely used in pharmaceutical formulations. Refined Glycerine has three hydrophilic hydroxyl groups that are responsible for its solubility in water and its hygroscopic nature. The glycerol backbone is central to all lipids known as triglycerides. Glycerol is sweet-tasting and of low toxicity. Glycerine Uses For Skin : Products containing Glycerine are gentle on the skin. They are safe to be used on childrens’ skin, as Glycerine does not cause any irritation to skin. It attracts water to the skin and restores the suppleness of the skin. Wrinkles are caused when the skin loses moisture and elasticity and as a person ages, the resources sent to the skin deplete and the body is not able to replenish them. When Glycerine is applied, it forms a protective cover against moisture loss. The skin care products which contain Glycerine include moisturizers, creams and lotions, soaps, deodorants and make up products, like, mascara and lipstick. Among many liquid glycerin uses, one is making soap at home. Vegetable Glycerine uses are also seen in the pharmaceutical industry. Glycerine is used as a topical medication for yeast and fungal infections, like, psoriasis, eczema, etc. Also, there are many drugs used to treat ear infections that contain Glycerine. Here is a small skin care pack which will help you to soften your dry rough skin. Mix Glycerine, honey, water, all in equal quantities. To this add oatmeal till the liquid thickens, to make a mask like texture. Spread it where you notice dry skin. After 20 minutes, wash it off and pat dry. Glycerine . Uses For Hair : To keep the frizz away in curly hair, Glycerine helps a great deal. Glycerine works well with curly and dry hair, as it draws moisture from the air to the hair shaft. The curls are well formed after the use of Glycerine on dry curly hair. If you feel that your hair has become frizzy due to the dry weather, you can take some Glycerine on your hand and dilute it with water. Now run your hands through your hair. Pure Glycerine Uses : Pure Glycerine can be used for cleaning purposes as well. It instantly kills all the bacteria as soon as it comes in contact with the bacteria. It draws out water from bacteria, instantly killing it. If a person is suffering from halitosis, the person should be asked to gargle with Glycerine. Glycerine Uses for Baking : Glycerine is also used in the confectionery and baking industry. It is used to soften icing used on cakes. Not only does it soften cakes, it is also adds sweetness to the cake. Sugar crystallization in candy is prevented by the use of Glycerine in it.